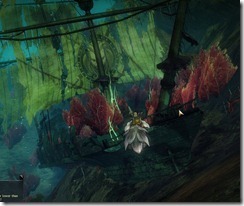 A compilation of pre-events and teasers for the GW2 The Lost Shores update which will take place on the weekend starting on Nov 16! Some very general information on the big Nov 15/16 patch can be found in the MMORPG livestream today, which was summarized nicely by Rytlock on Reddit. Weekend long event (Nov 16) to open up the island and a new dungeon that give you better rewards and gets harder as you go deeper. Dungeon is aimed towards L80s. The island is not a full zone map but a medium sized map that contains a lot of fun stuff for all levels (all players will be scaled to 80). New rewards not available elsewhere can be found on the island. 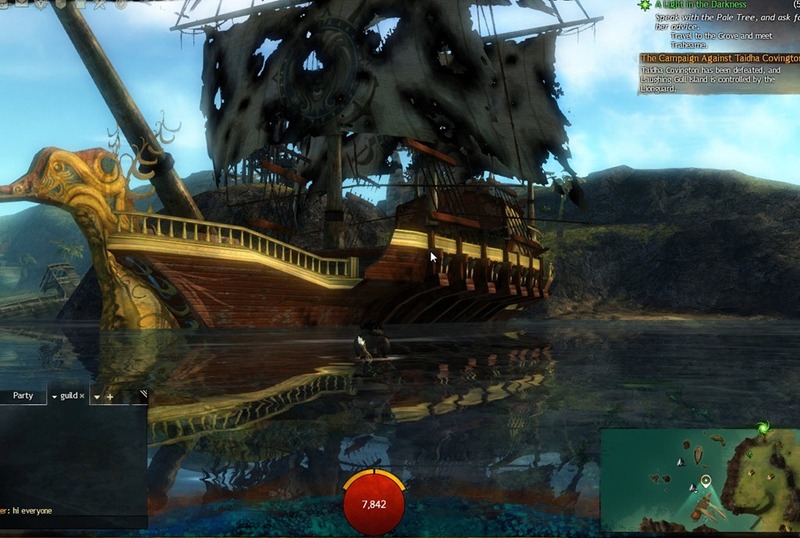 After the new build was released, players on reddit reported seeing three new ships in Lion’s Arch. 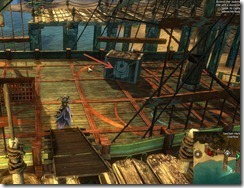 Following the symbol on the cargo crate, players found a house near Claw Island Portage Waypoint with the same marking with a deactivated Asura gate nearby. Inside the marked house, something strange is happening to certain players. One Redditor in particular, Balthazar6817 was able to see three posters that most other people cannot. 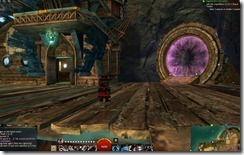 In addition, the asura gate was active for him but cannot be accessed. (Image courtesy of Balthazar6817/Mizetto). 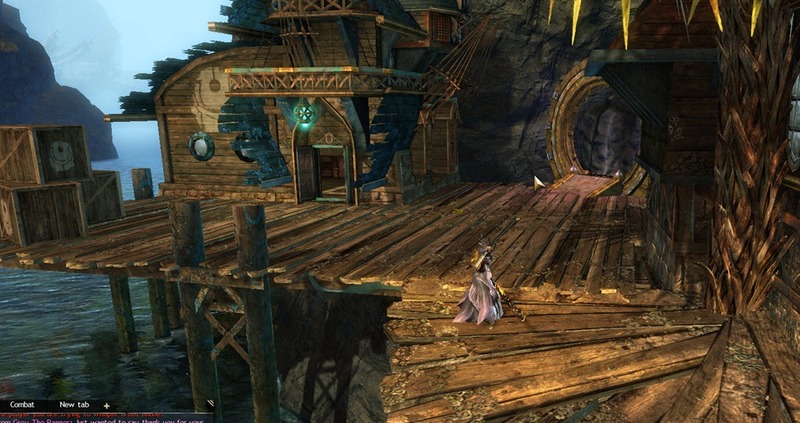 Lion’s Arch Authorities are diligently combating an unstoppable onslaught of flesh-eating swarms. We apologize for the inconvience. We ask that, for your own safety, to stand close and to let our professionals die horribly so that you may continue to live. If you rank yourself among the righteous then by all means assist in the extermination process. We are certain that somewhere, someone at some time will be grateful for your heroic, if not pointless, sacrifice. 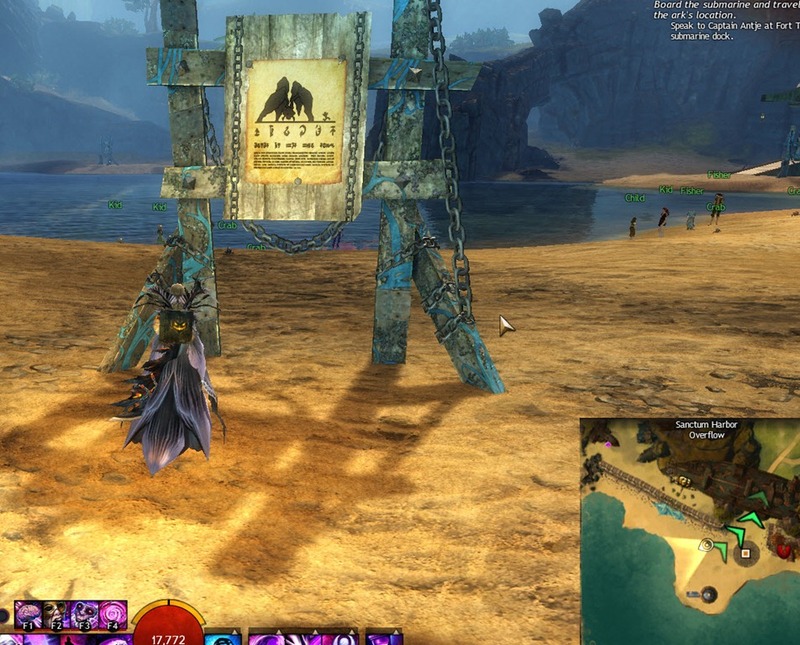 Lion’s Arch Authorities kindly remind all visitors that sea monsters have rendered our beaches unsafe for the general public. Should you choose to ignore this warning then upon your inevitable, grisly demise members of our local pirate population will insure the fair division of your remaining, worldly possessions. Despite your potential horrible end, find comfort in the knowledge that you will soon no longer care and that you will have made a generous contribution to those who, ironically, have more respect of the rules than you do. Avast! Ahoy all ye landlubbers! 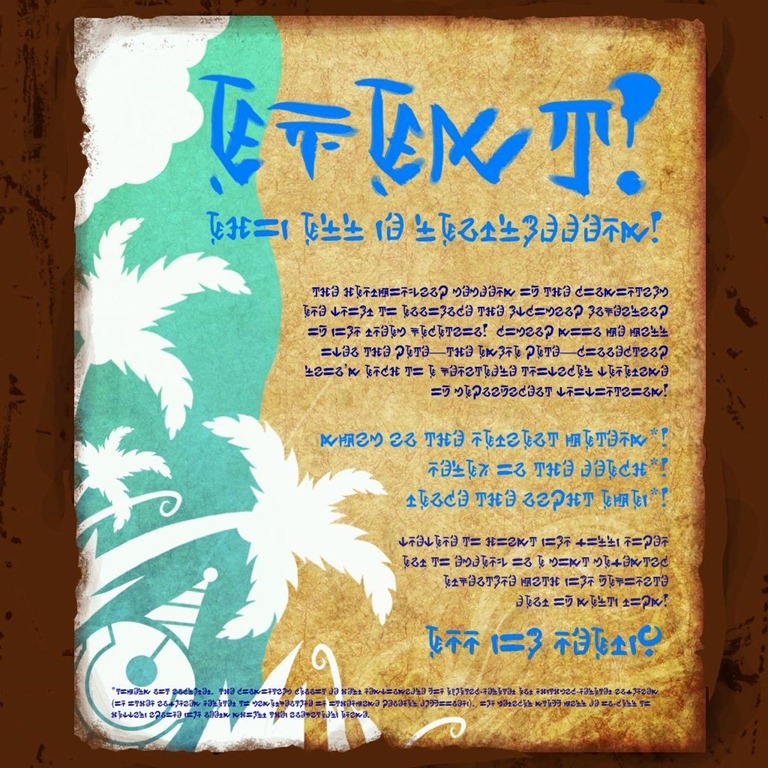 The hardworking members of the consortium are proud to announce the upcoming unveiling of your dream vacation! 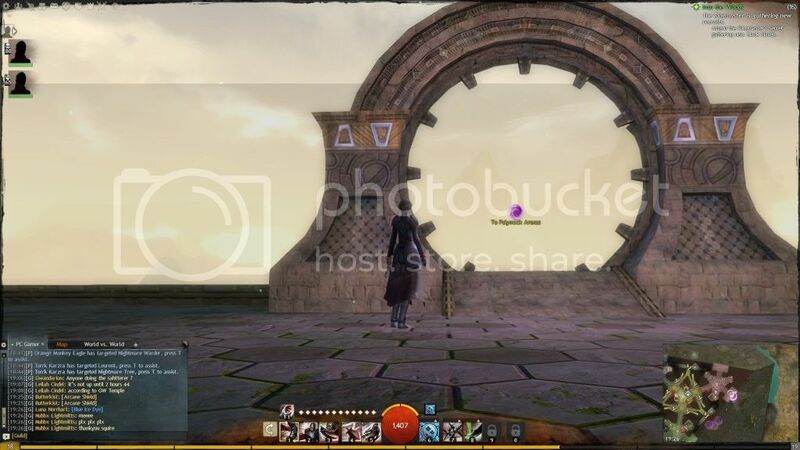 coming soon we will open the gate – the asura gate – connecting Lion’s Arch to a veritable tropical paradise of magnificent proportions! swim in the radiant waters*! 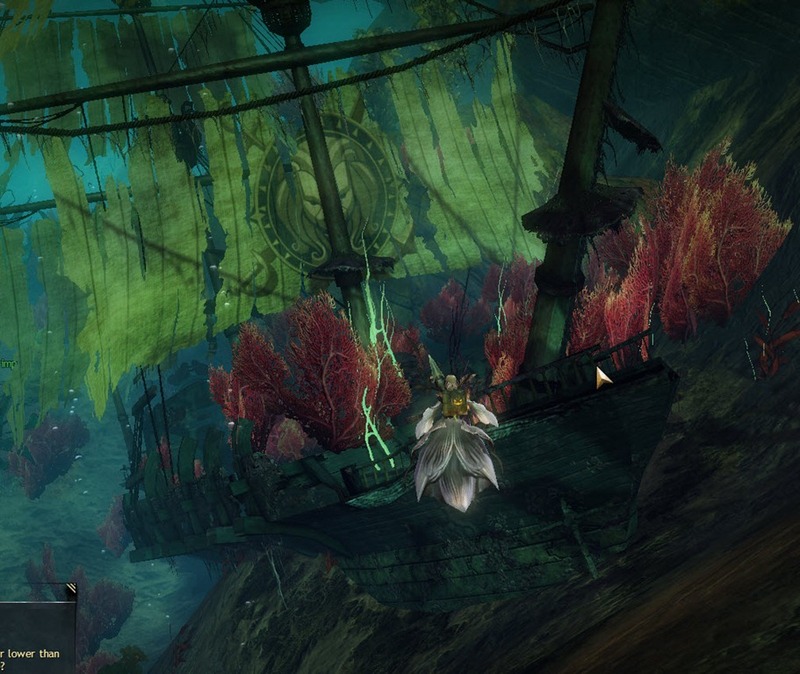 Prepare to hoist your jolly roger and to embark on a most majestic adventure with your favorite band of salty dogs! *Towels not included. The consortium cannot be held responsible for aquatic-related and rythmic-related injuries(or other injuries related to misadventure or otherwise general buffonery). Our medical staff will be on-call to happily ignore your needs should they inevitable arise. Lion’s Arch Authorities cannot be held responsible for missing/stolen/damaged and/or devoured appendages, small children, dinghies, fruit baskets, skritt, pumpkin flavored marshmellows, spoons, goofy hats, ascalonian salads, pocket watches, earrings, in-laws, spirits of the wild, eye patches, war machines, seraph, rhubarb pies, mystical artifacts of unquestionable power, mystical artifacts of questionable power, seeing-eye squirrels and carp." People also reported seeing whales on the shore (original discover by Kromgar on Reddit). At first I thought it was just some graphical glitch but this appears not to be the case. 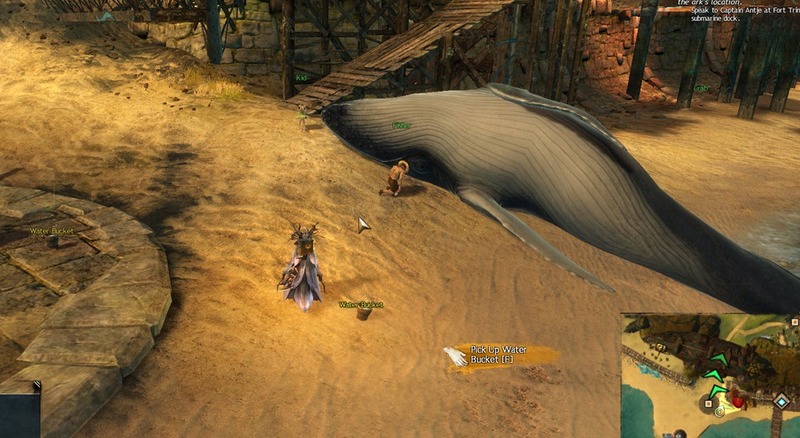 There are NPCs tending the whales and water buckets are also placed nearby that you can use to water the whale. 1) Inside the hut is a book with what it appears to be a sailing map with a bunch of arrows and New Krytan text undernearth it. 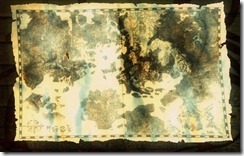 Image taken from AlcyoneNight, also discovered by Kromgar Edit: Reader Flymm found the same book in Godlost Swamps in Queensdale near the heart NPC, so looks like the book was added for effect and doesn’t actually provide any clues..
3) Reader GERGŐ BARTA was able to find the Lion’s Arch ship markings on ships in Bloodtide Coast pirates..It is possible that these symbols are just generic Lion’s Arch naval ships markings and not related to the Lost Shores event. 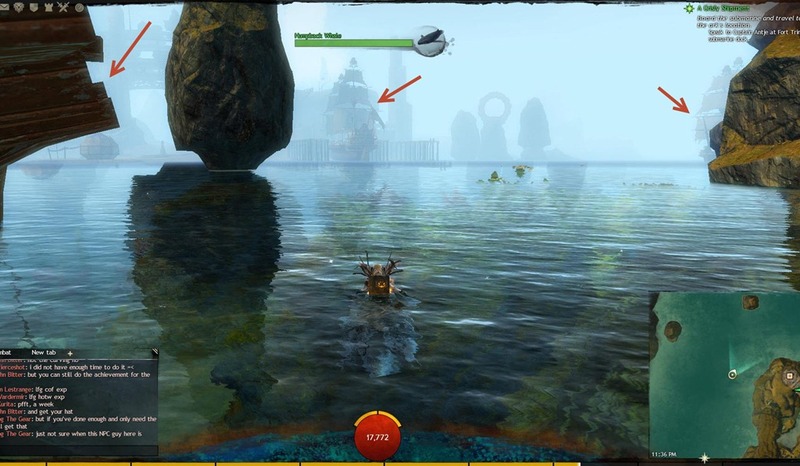 At this point, our guess is that the Lost Shores is accessed by that Asura portal near Claw Island Portage Waypoint. Check back for updates as the event unfolds over the next couple of days! doode, how do you put these together so fast?? and it’s like.. extensive amounts of information as well. haha much appreciated. and frigging excited for this! 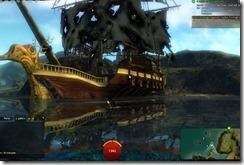 pirates, sea monsters and who knows what! Found this text outside a tavern. 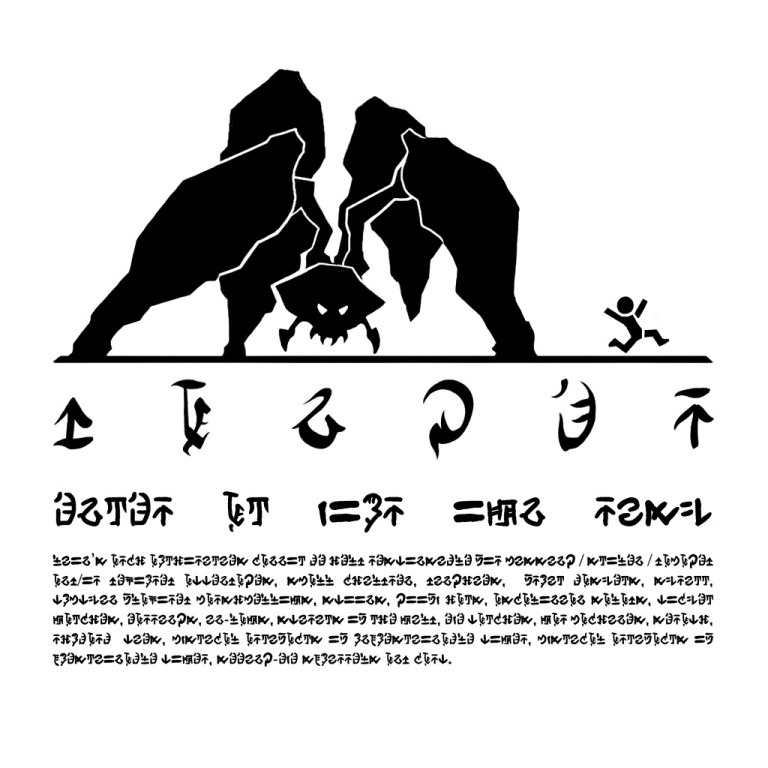 How do you translate into human language? You’re like the MMO-Champion for GW2.. and that’s a compliment! I’m sure a lot of pple including myself constantly checked MMO-champion.com for WoW updates every single day and now I pretty much check your blog for updates on GW2 daily. Really awesome job and hope you keep it up! I’ve used a couple of your Halloween guides and they were great! After ending up on this site a lot during the Rakghoul thing in SW:ToR I’m happy to see that I can go to the same place for my gw2 event needs. 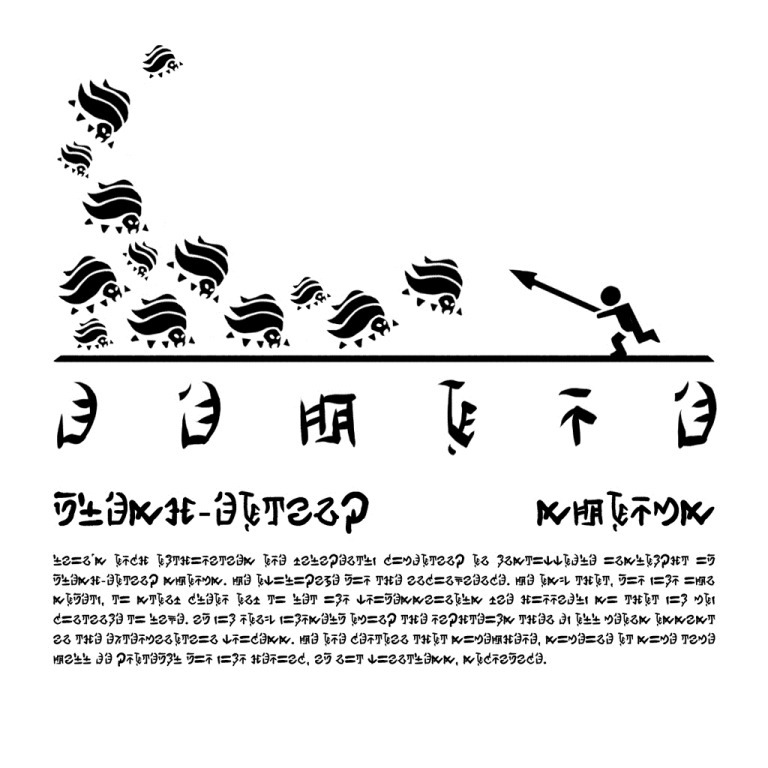 The first symbol is a lion’s head. Black Lions Company trade ships? 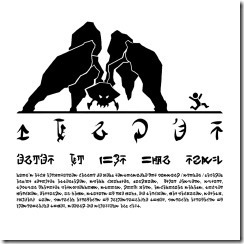 The second symbol looks to me like a stylised Asuran golem. 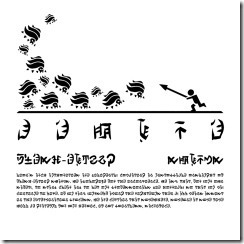 The lion is emblem of Lionguard and Lion’s Arch. 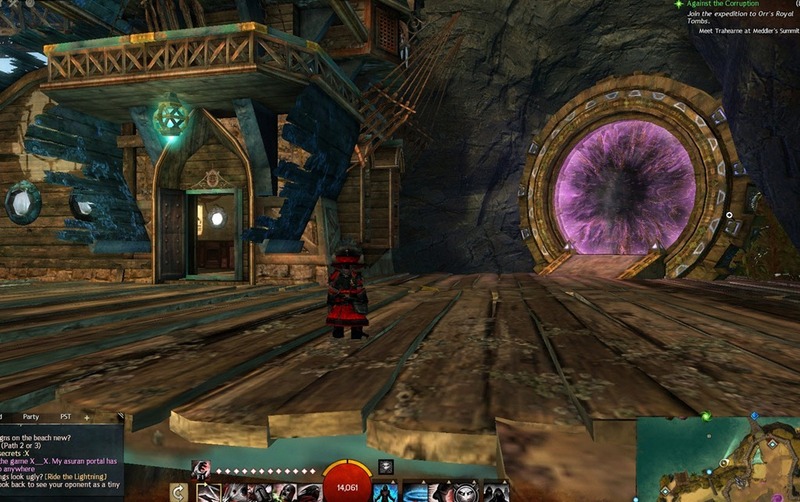 The golem could be just a “normal” asura ship, or the Inquest also. 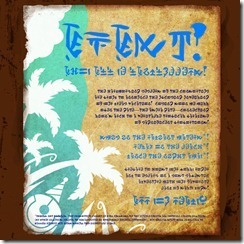 Also, could you please add the translation of the first 2 lines of the beach poster? Juicy tidbits, indeed! Thank you for serving them up! You are like Rytlock Holmes, nice bit of detective work and thank you for the interesting heads up! More information than any other website I could find about this. Great job on the post. 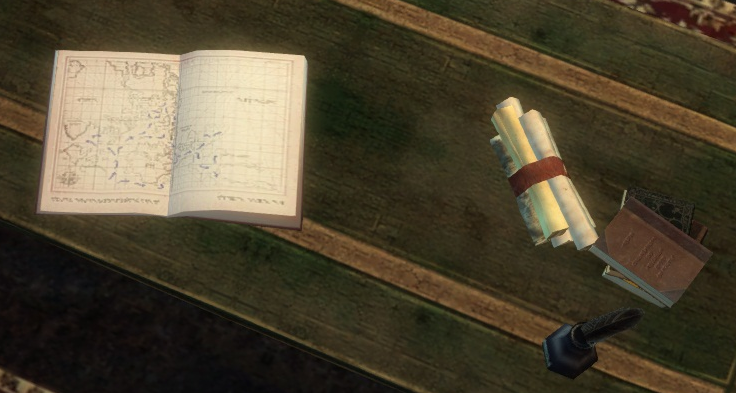 In the building near the asuran portal there is also a book with some writing on it, a inkwell, and a opened book that has a map and it shows lines leading to various locations it also has some new krytan on the bottom of the map. 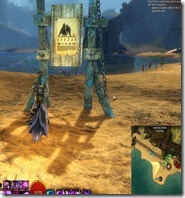 Dulfy, my new source for all things GW2! These are just two holes in the map. 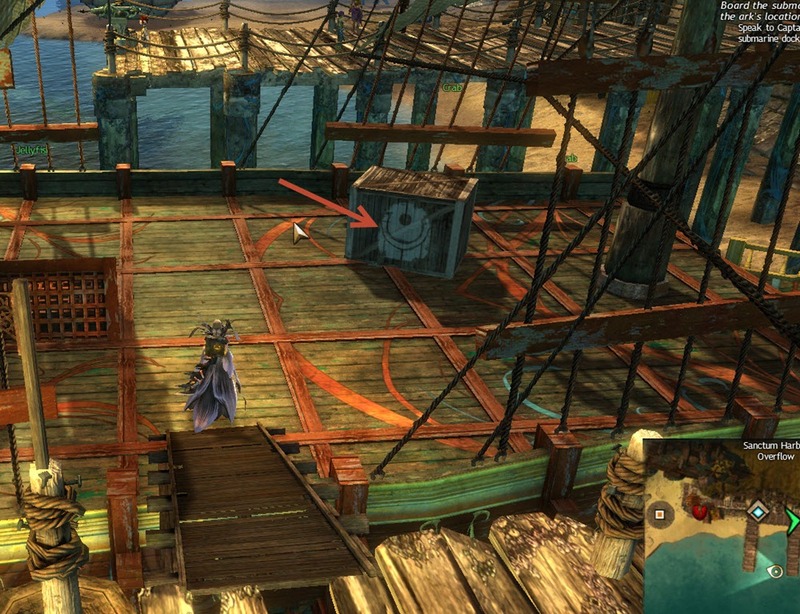 i found that the design on the closet in the cabin next to the small asura gate is distinct canthan, maybe a sign something of cantha is opening up. could be refugees, dunno yet. 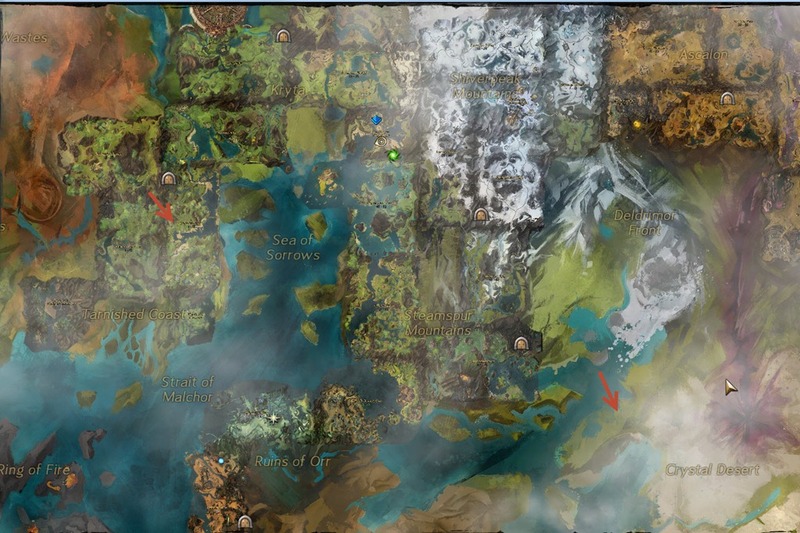 I wonder why they chose the sea of sorrow, considering they have so many other areas to expand upon, and that one is relatively small (that isn’t to say I won’t appreciate the update!). Also, on the poster that says something like “Danger! 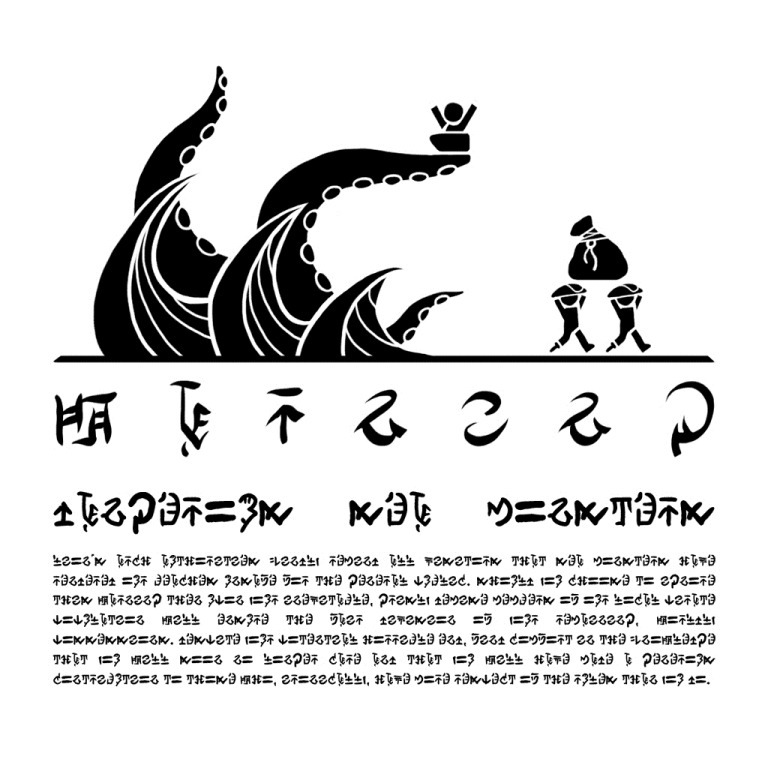 Enter at your own risk”, the monster depicted looks eerily similar to the leviathans one would find in the jade sea of the first game. And I have to agree, they do look very similar. 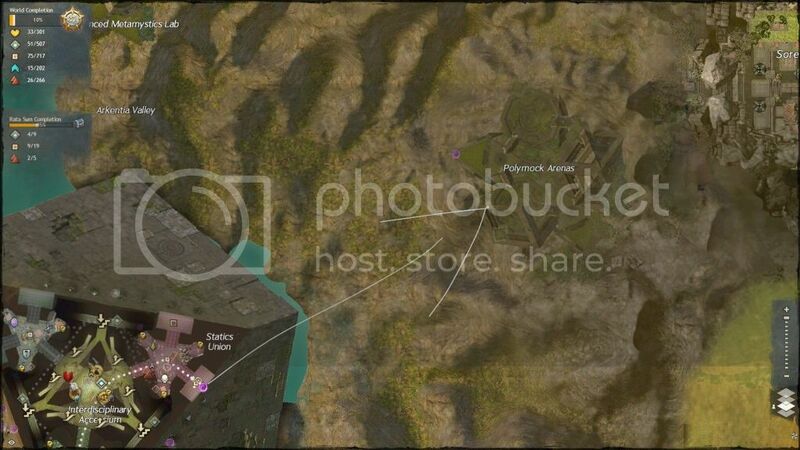 I’m pretty sure that those dark spots on the map are just flair to make it look worn. 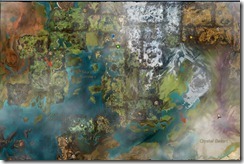 The second larger one is in the Asura starting area, and the second, smaller hole is off the coast of Mount Maelstrom near the Crystal Desert. 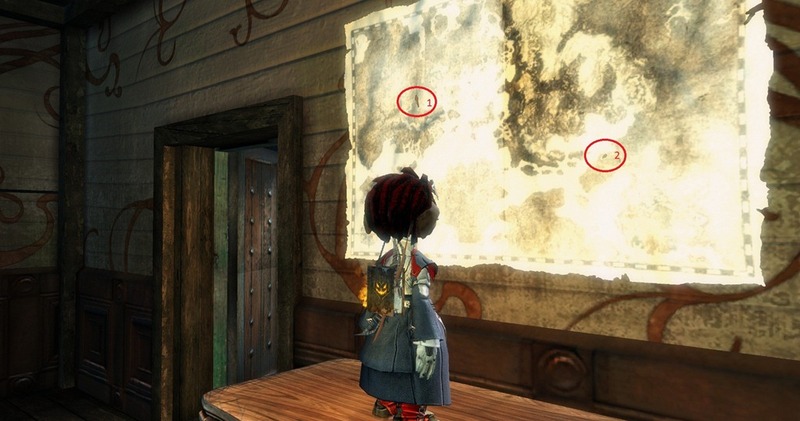 Those dark spots on the map look like just clipping problems, you can see that they are the same color as the symbols from the wall behind. 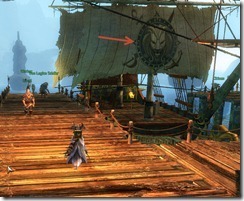 Not sure if somebody mentioned it earlier, but Rata Sum’s dock is full of golems and asuran captains. One of them talks about a huge monster (probably connected to the events) and the other two talks about undead monsters (maybe a few undead is stay there after Zaithan’s death). I just found this site and it is now my favorite for GW2. Great job. “players on reddit reported seeing three new ships”, “People also reported seeing whales on the shore (original discover by Kromgar on Reddit)”. I don’t think that specifically the people on Reddit was the first to discover the ships and the whale, since it’s kinda… hard to miss. Now the welcome posters are sighted on walls of Traders’ Forum. I came across what seems like the exact same book in the Godslost Swamp, located on a table by Scholar Taryn right beside where the Heart is. Check it out, I could not get the greatest angle, I don’t know how you people get such great angles on things like this. Interesting.. so looks like the book was just there for the “environmental effects” and doesn’t actually add to any of the event stuff 🙁 Thanks for pointing it out though, appreciate it! Here’s the area on the map. So after this last build, the one that fixed the dye drop rate (nov. 6), the whales are gone on my server at least, as well as the blue posters. 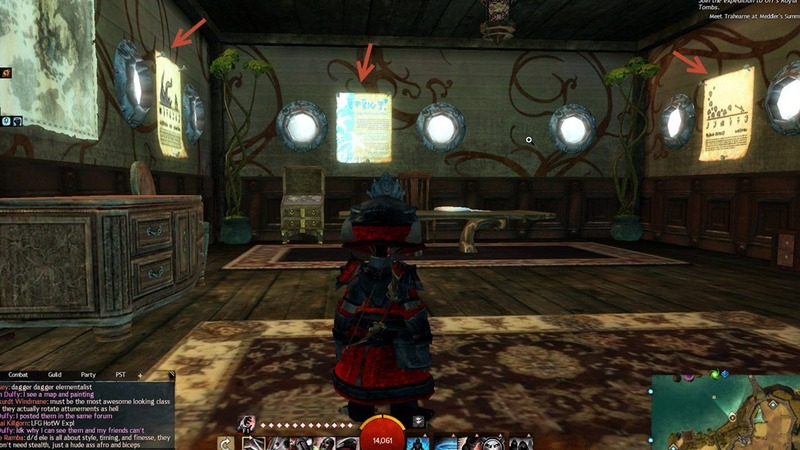 The only things that stayed were the posters on the beach and the house/asura gate. I wonder if that was intentional or not. Just a little Heads-up to the one-time events. Just a head-up to the one-time events. I’ve noticed also (after seeing a Reddit post about it) an increase of thunder and wind sounds in LA. The strange thing is though, they only happen near the bank and the piazza (where the mad king guy is). Even stranger, there is no music playing and if there is music playing before you get there, it will fade out and only the thunder and wind noises remain. The wind is constant, and the thunder happens at times, no matter what the clouds look like. One final thing, I did see lightining flashes. Not the actual strikes, but it was like when the light shows through your window when there is lightining in the area. And no there were no ele’s around when this happened, besides it was way too bright to be an ele skill. Though I will admit, it could just be remnants of Halloween left over. Time will tell. Yeah I heard that also, lol. Too bad, it fit really well with all of this. Very ominous indeed. 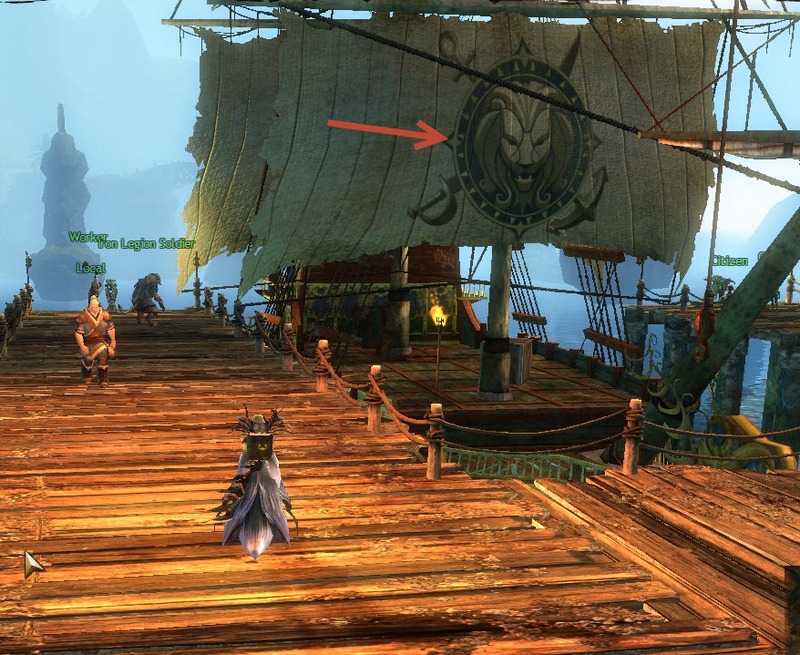 I believe those symbols are either generic Lion’s Arch symbols or Lionguard symbols (there are two different lion symbols, I don’t know which is which) because they can be found pretty far inland in places occupied by the Lionguard. Beware, ye landlubbers! Upon us it be Bubbles! Can anybody say: “The Mist” a movie by Stephen King. Or perhaps the movie “Cloverfield” by Drew Goddard.